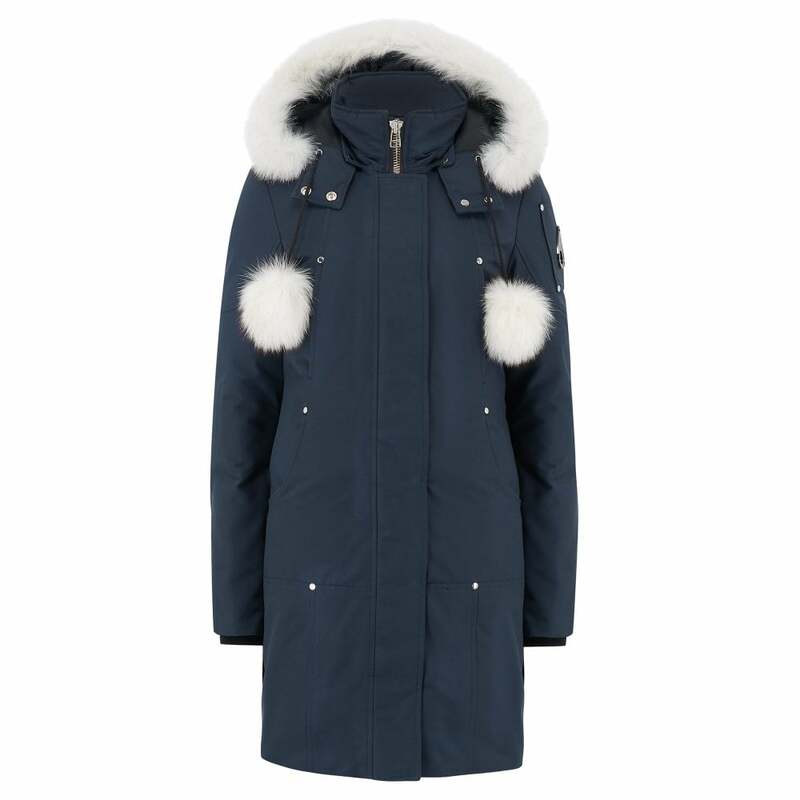 Moose Knuckles Stirling Parka in Navy: Moose Knuckles best selling parka, the Stirling is styled with a navy outer and white fur trim. Fashioned in a waterproof treated outer and a 80/20 down fill this Moose Knuckles Stirling is designed for extreme weather wear; the Stirling parka features metal hardware and a sturdy zip with a dropped back hem and inserts at the back for ease of movement. The ultimate cool, fashionable parkas, Moose Knuckles are the in demand brand for warmth and style.